A cluster of vases and cans, covered in dust, sitting on a muted surface. This is the scene that captivated Giorgio Morandi. The year is 1953 and Morandi has been painting in Italy for nearly 40 years. While his contemporaries jaunt from New York to Paris to Brussels and back enjoying heights of notoriety and wealth previously unknown to living artists, Morandi sits hunched over a coffee can, nudging it against a slender vase which he has filled with white paint, now dried. The Bologna light is long and he sits back, applying his eye to the scene. Applying his eye as he has a thousand times before. In method, Morandi painted still lifes unlike any before him. His studies would sit for weeks on end gathering dust under his scrupulous gaze. He was also known to omit portions of a scene which he deemed unessential or edit the reality in front of him for one that better suited his purpose. Not interested in creating beautiful pictures, Morandi was fascinated by the relationship between the objects in his paintings, rather than the objects themselves. This is evident in his iterations, where he uses the same objects in only slightly different positions to create different moods. Introverted, yes. But Morandi was no hermit. He knew the world of art was doing backflips around him. De Kooning, Pollock, and so many others were revolutionizing art with grand movement and deeply human creations. And yet for all of his life Morandi remained transfixed by muddy collections of the everyday. 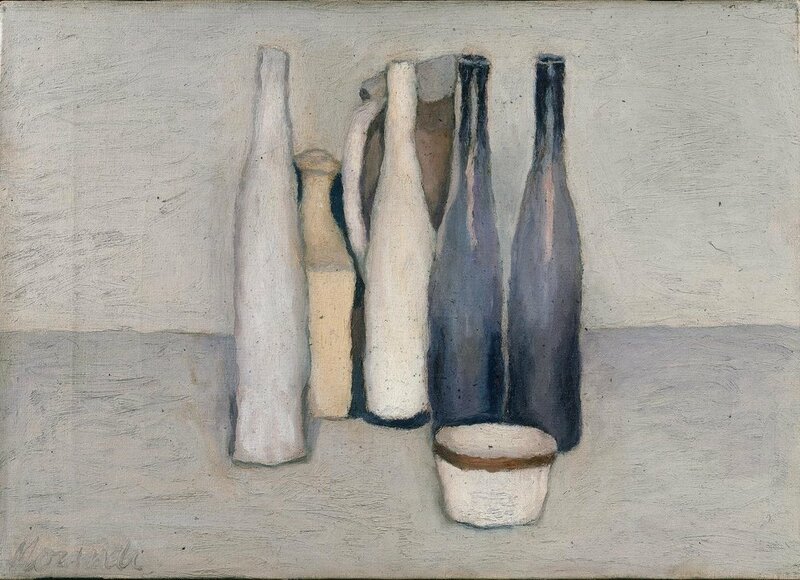 While his contemporaries threw themselves head over heels into their work, Morandi quietly removed himself from his. And this humility is evident. Look into a Morandi and feel the depth of a simple life lived. Look and feel tenderness. In a world speeding up, feel stillness.